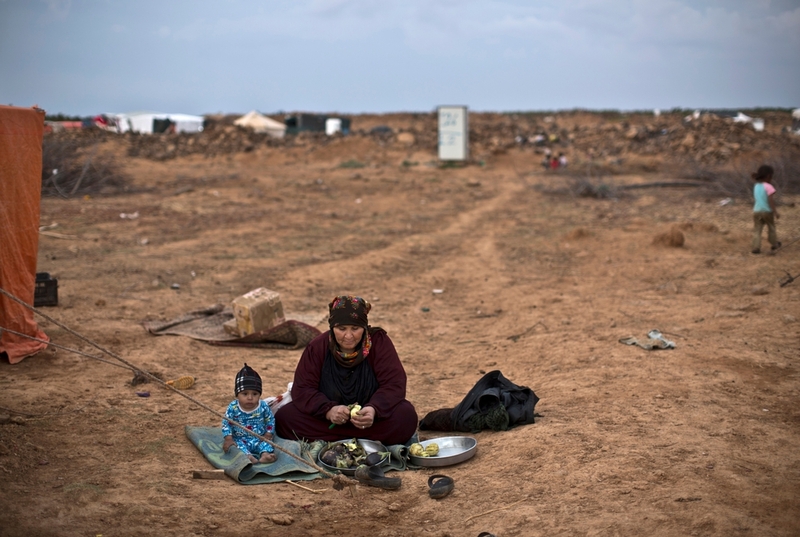 Around 60,000 people who are stuck in extremely harsh conditions close to Jordan’s northeastern border with Syria need humanitarian aid to be resumed immediately, and international protection has to be offered. “These people - more than 50 per cent of whom are children - desperately need the immediate resumption of the provision of food, water and medical care. This cannot wait,” said Benoit De Gryse, MSF’s operations manager. “This is a collective responsibility and a massive failure of the international community. This is not just Jordan’s responsibility. There are plenty of countries both in and outside of the region who should also step up to offer a safe place for refugees”. 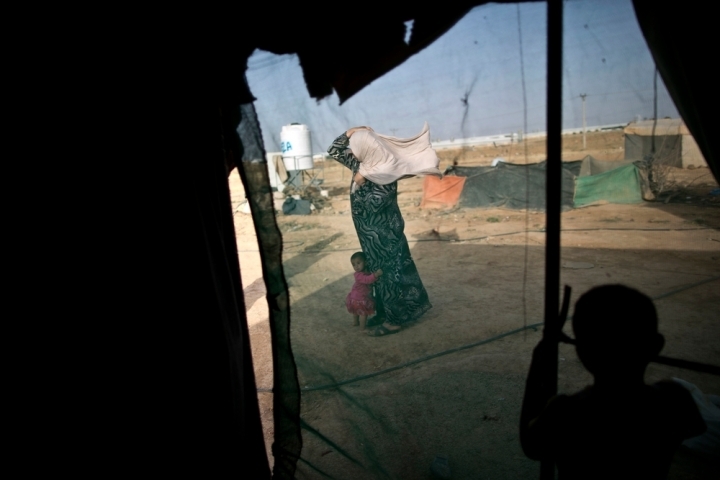 A Syrian refugee woman holds on to her headscarf against the wind while she and her daughter stand outside their tent at an informal tented settlement near the Syrian border on the outskirts of Mafraq, Jordan. Before the forced suspension of its activities following the attack, MSF had been running a mobile health clinic for the people trapped at the berm. MSF started running the mobile clinic on May 16, and had provided treatment to a total of 3,501 people. The main illnesses seen by the MSF teams were skin diseases, diarrhea and malnutrition. Of the 1,300 children under five-years-old screened for malnutrition, 204 were suffering from moderate malnutrition and 10 had severe malnutrition. In addition, 24.7 per cent of the children seen by the MSF medical teams had acute diarrhea. The teams provided 450 consultations for pregnant women and delivered one baby. “Conditions before the suspension of aid were extremely harsh, and many of the patients our teams treated told us they had moved to this extremely inhospitable area because of the high levels of violence and insecurity they were living through,” said De Gryse. “The idea that there are safe zones in Syria they can return to is nonsense. This is not an option. Neither is staying at the Berm – the area is not safe for anyone, much less thousands of women and children. States with the capacity to do so should not turn their backs. They need to step up and offer asylum to refugees today,” said De Gryse.